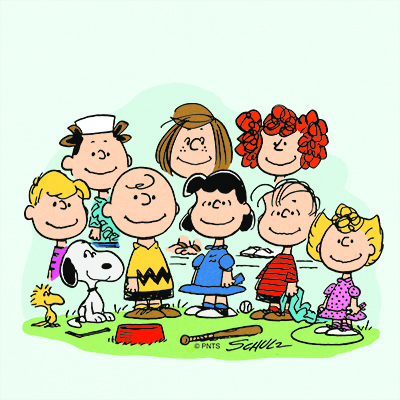 Event professionals are being given a once-in-a-lifetime opportunity to rub noses with Charlie Brown, Snoopy and the rest of the Peanuts gang, when a ground-breaking exhibition comes to Somerset House this autumn. Good Grief, Charlie Brown! Celebrating Snoopy and the Enduring Power of Peanuts, comes to Somerset House’s Embankment Galleries between 25th October 2018 and 3rdMarch 2019. The landmark exhibition showcases the original drawings of the cartoon’s creator Charles M. Schulz, rarely seen before in Europe, alongside works inspired by Snoopy, Charlie Brown and all the best-loved Peanuts characters, from some of today’s most exciting artists and designers including Fiona Banner, Ryan Gander, KAWS, Ken Kagami and Mira Calix. It explores the impact of the most successful comic strip of all time on the contemporary cultural landscape, uncovering the social, political and philosophical complexities told through the four-panel comic strip that have spoken to scores of artists and designers in their own work. To give event professionals exclusive access to the exhibition, the Somerset House Corporate Events Team has launched some unique event options, which can include breakfast or a drinks and canapé reception alongside a private viewing. Event organisers can choose from a private view with breakfast or drinks and canapés for up to 150 people in the evening and the Somerset House suppliers list includes a range of creative caterers who can wow guests with themed food and drink. A private view can also be booked in conjunction with a venue hire at Somerset House, as a welcome addition to a Christmas party when guests can be treated to something out of the ordinary.